It’s time for a good old-fashioned listener request! This week, the guys delve into DC Comics’ Elseworlds imprint, the line that brought us such classics as Kingdom Come, Superman/Batman: Generations, The Golden Age and… um… Lobo Annual #2. Well, they can’t all be gems. In the picks this week, Chase digs the new Ed Brubaker/Sean Phillips crime comic, Incognito, and Blake is enjoying upcoming Justice Society writers Matthew Sturges and Bill Willingham on House of Mystery! 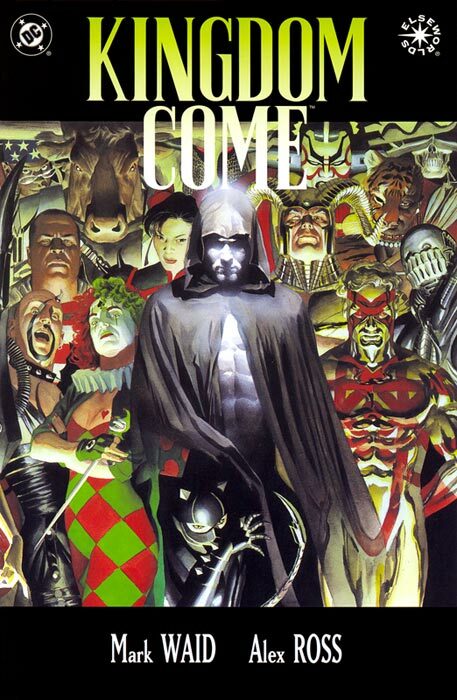 This entry was posted in Showcase Podcast and tagged Bill Willingham, DC Comics, Ed Brubaker, Elseworlds, House of Mystery, Incognito, Justice Society, Kingdom Come, Lobo, Matthew Sturges, Sean Phillips, Superman/Batman, Superman/Batman: Generations, The Golden Age. Bookmark the permalink.